First manifestations of an organized village began during the Eastern Zhou dynasty (770-256 BC). 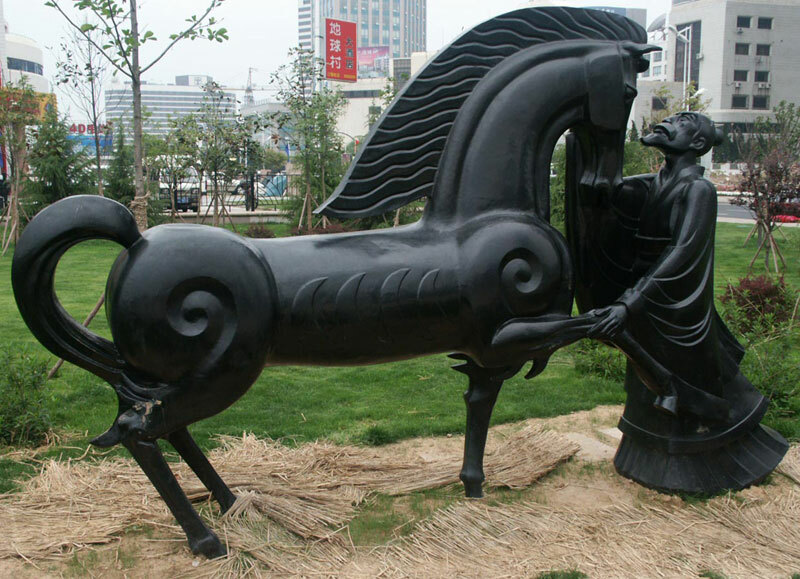 After unifying China, Ying Zheng, the first emperor of the Qin Dynasty, climbed three times to the top of Mount Langyatai in the south of the present city of Jiaonan. Ying Zheng called himself Shi Huang Di (First Emperor), historically known as Qin Shi Huang, or First Emperor of the Qin Dynasty. During his reign, Qin Shi Huang standardized the script, currencies, and weights and measures, established the system of prefectures and counties, and constructed the world-renowned Great Wall as well as a large palace, mausoleum and temporary regal lodges respectively in Xianyang, Lishan and other places. 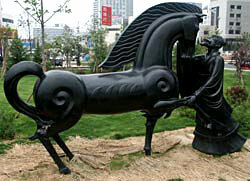 Bo Le, a minister during the Qin Dynasty, choosing a war horse for troops. In today´s Chengyang District of Qingdao Liu Che (140-87 B.C), emperor of the Han Dynasty (206 BC- 220 AD) held sacrificial rites at the Jiaomen Palace in Mount Buqi and built nine temples in Mount Nugu along the Jiaozhou Bay. By the end of the Qing Dynasty, this part of the Shandong province had grown into a flourishing area which used to be called Jiao´ao. During the Tang dynasty (681-907) Qingdao took full advantage of its sea location by evolving into one of the Shandong peninsula´s most important cities for commerce. In 1891 the imperial court of Qing garrisoned troups in the area and make the area a defence base and the establishment of Qingdao began. It became a German concession when Germany occupied Qingdao by force. Japan invaded Qingdao at the beginning of the first world war and continued colonial rule. In protest against the then Chinese government yielding to Japanese pressure, the famous May 4th Movement was launched in 1919 and protestors demanded to resume sovereignty over Qingdao. In 1938 Japan once again invaded and occupied Qingdao, but 1945 the Nationalist government took over. The city was finally liberated in June 2, 1949 by the Red Army. Qingdao was included in the country´s 15-vice-provincial-level-city list. Today Qingdao is one of the most important coastal cities in the Pacific Rim.